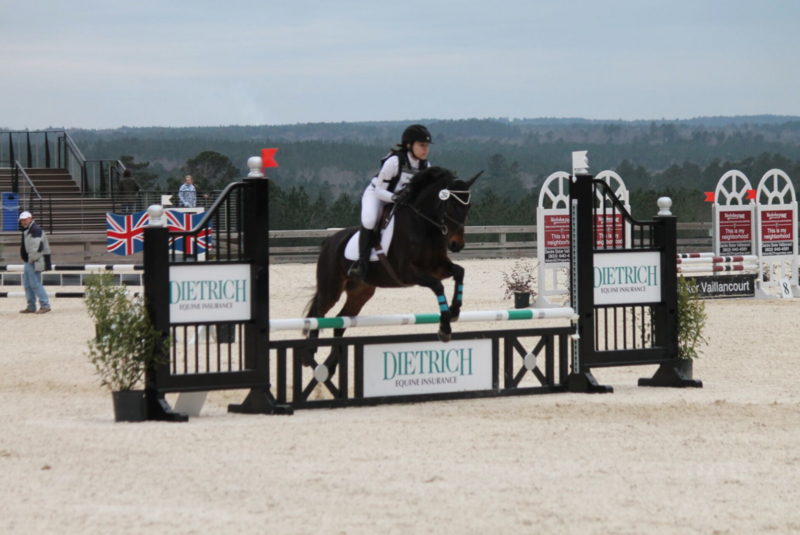 Ainsley Jacobs and JJ Spot in the Novice Rider division. 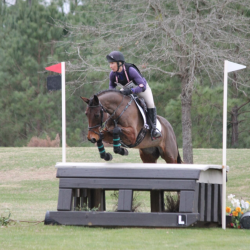 Check out Ainsley’s “Lessons Learned” blog series on EN and HN, including her own Stable View recap here. 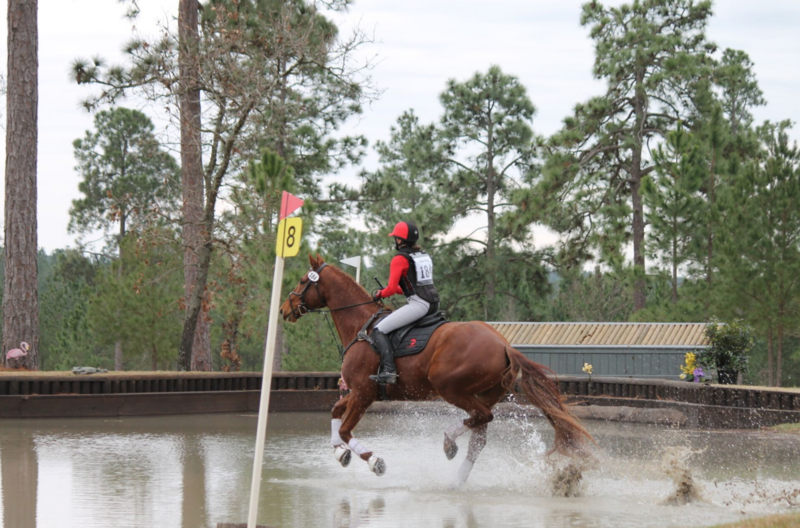 Photo by Christine Rhodes. 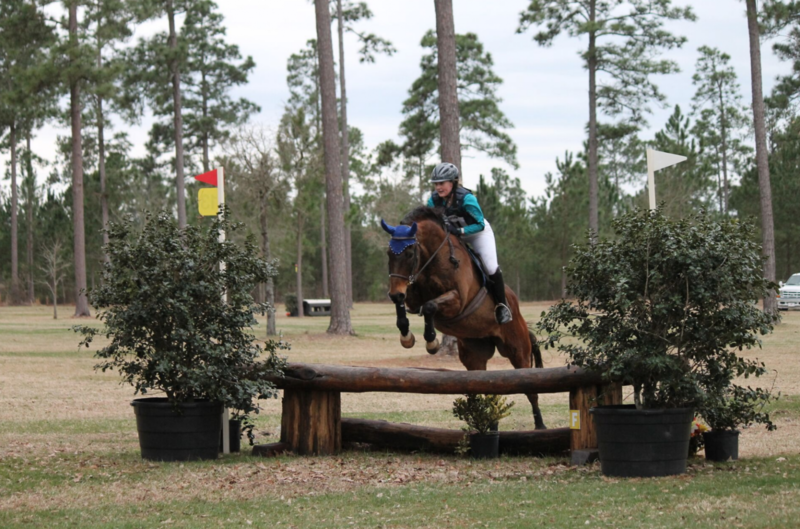 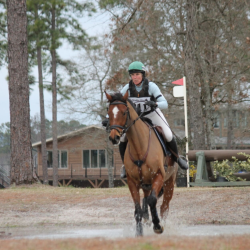 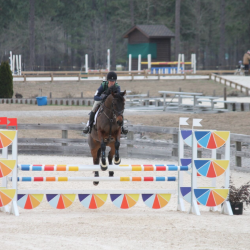 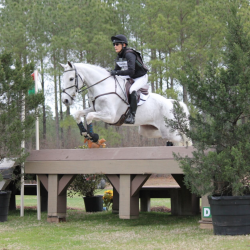 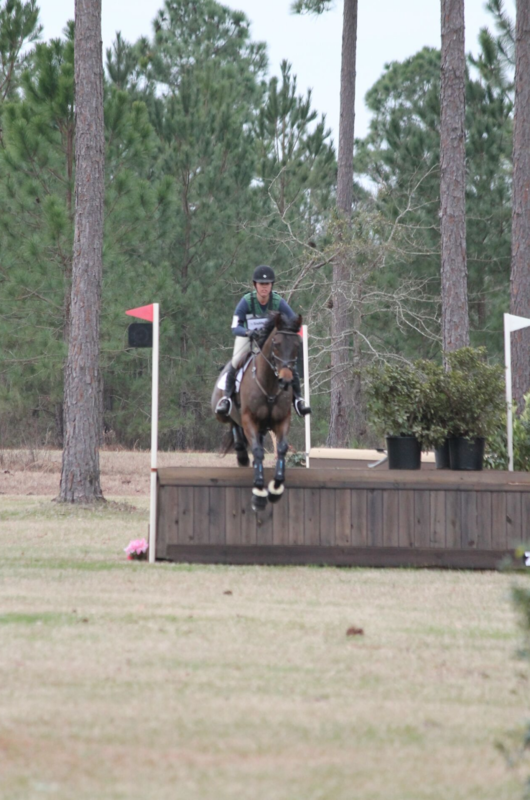 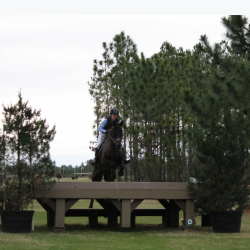 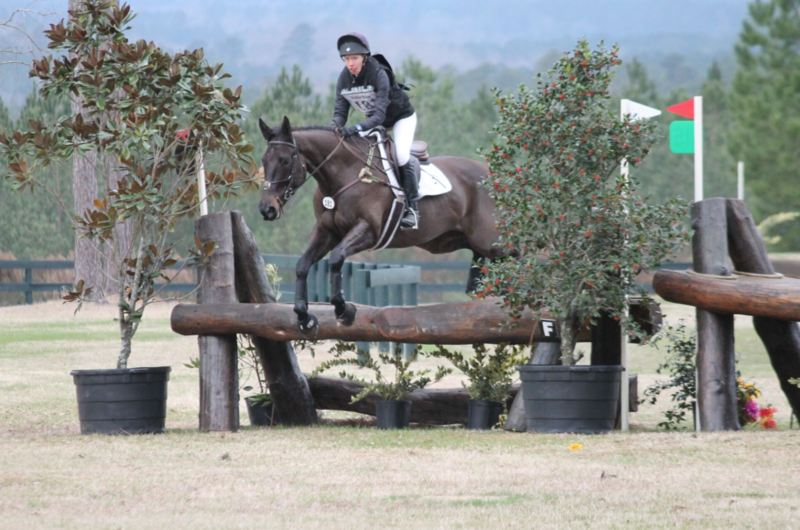 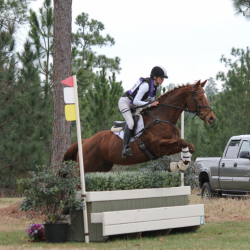 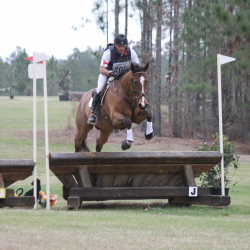 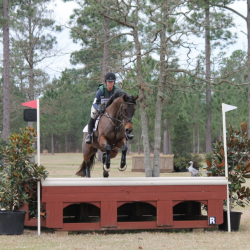 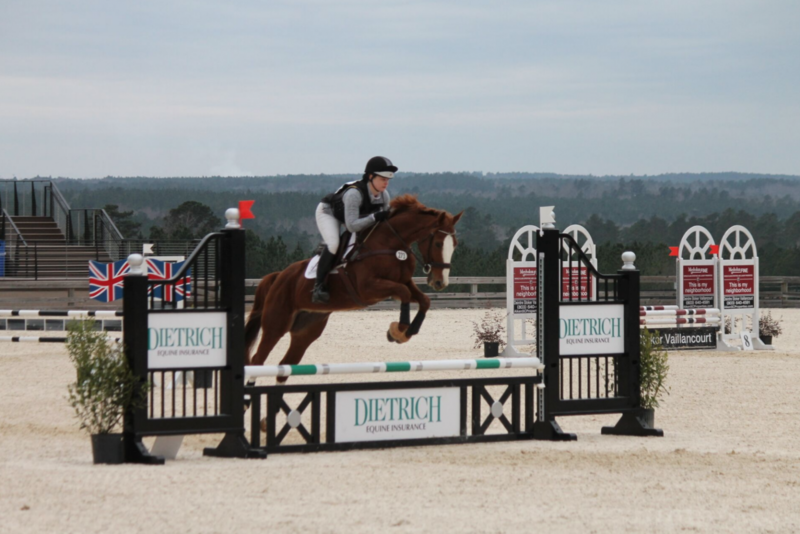 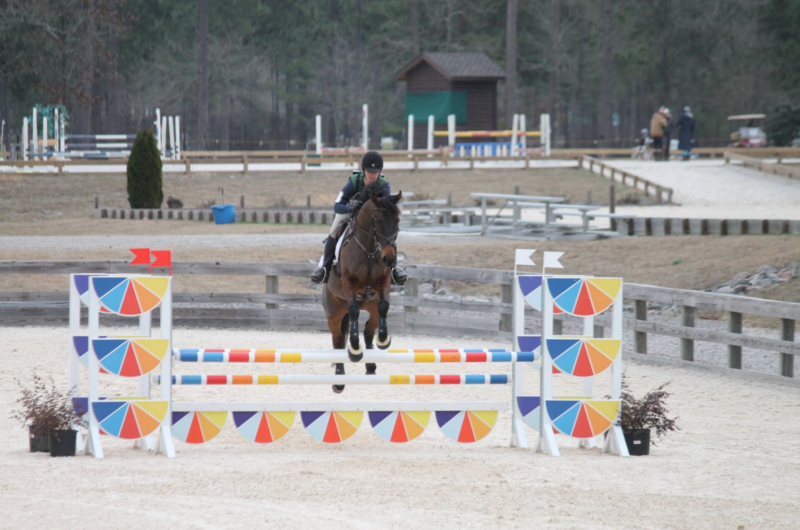 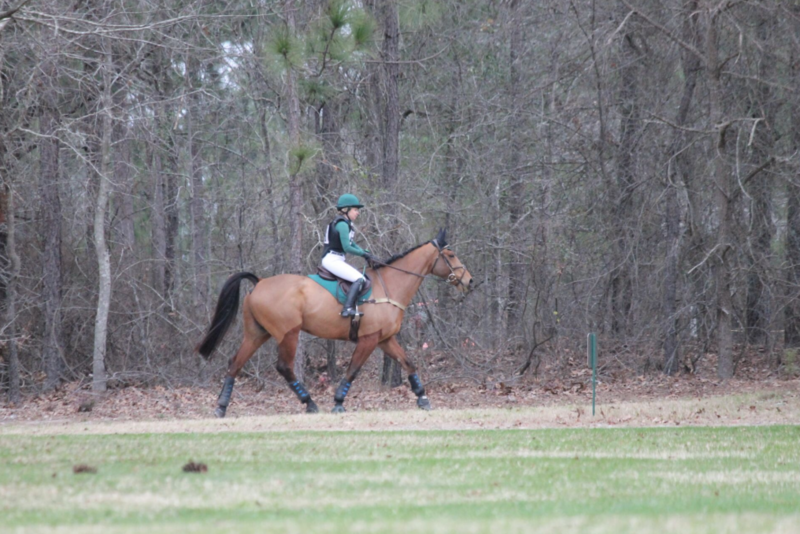 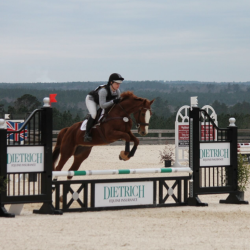 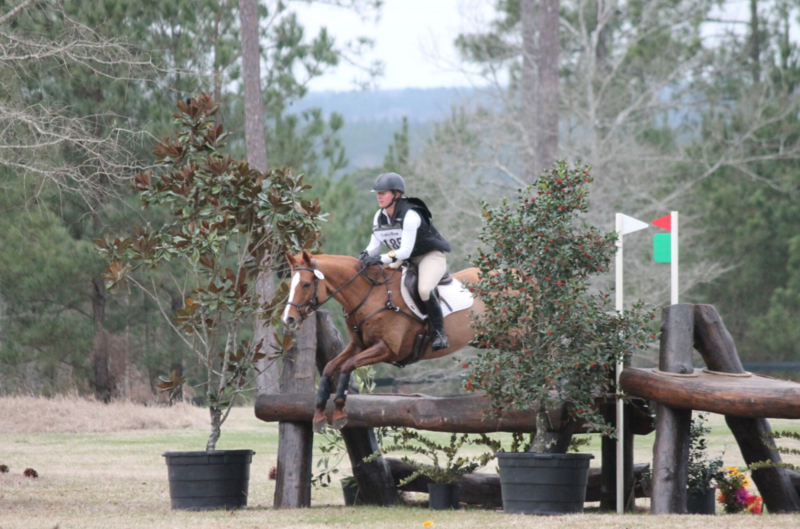 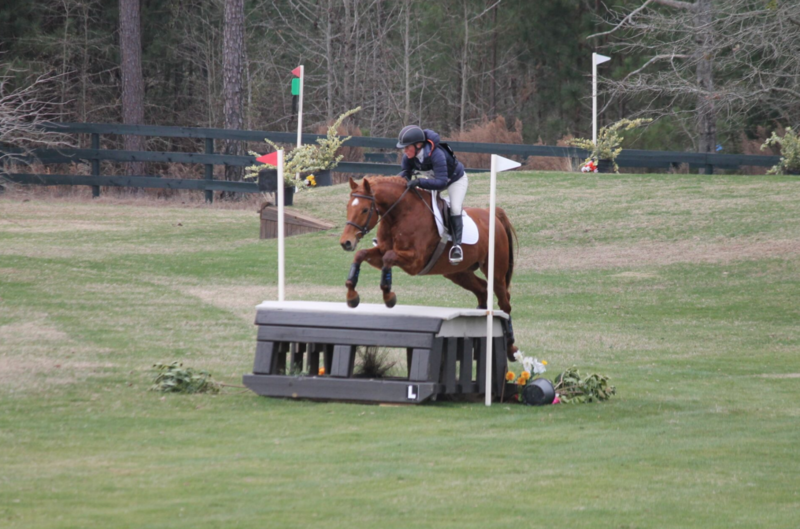 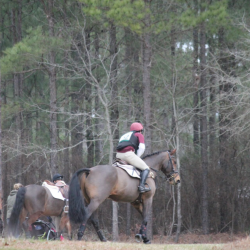 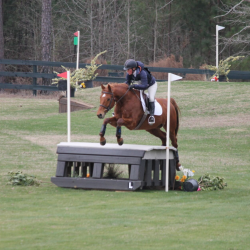 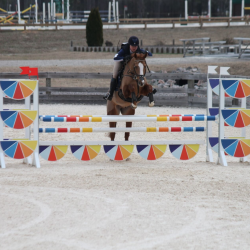 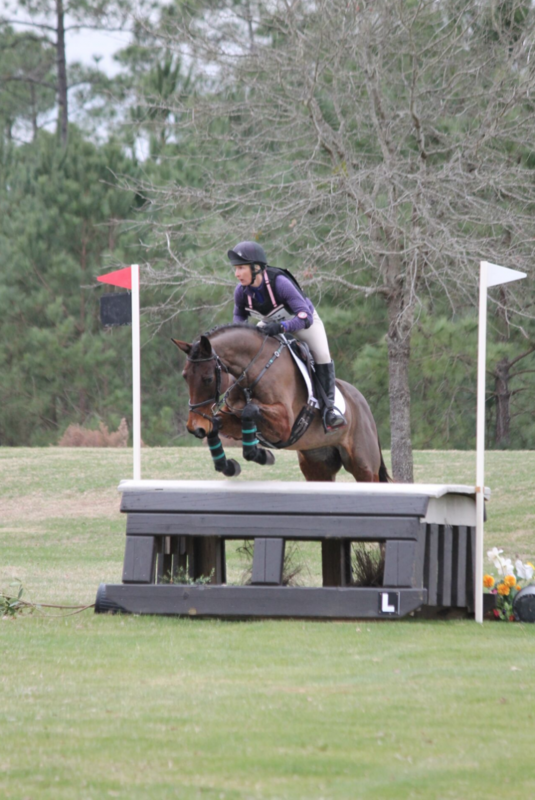 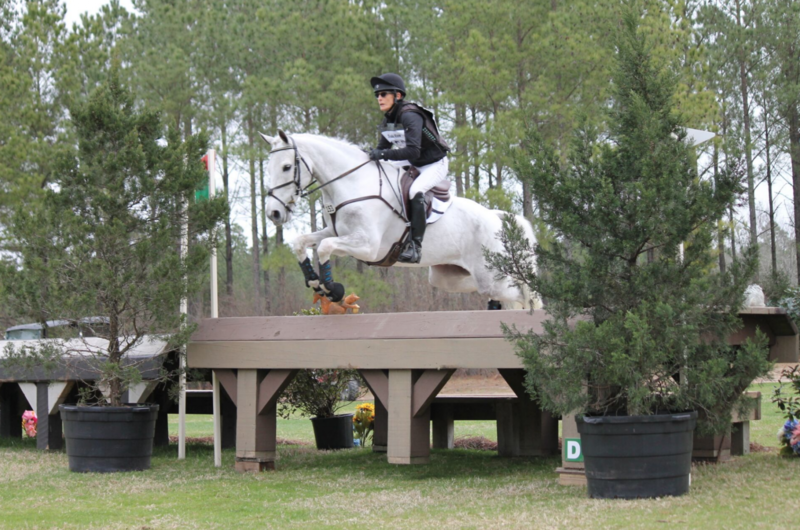 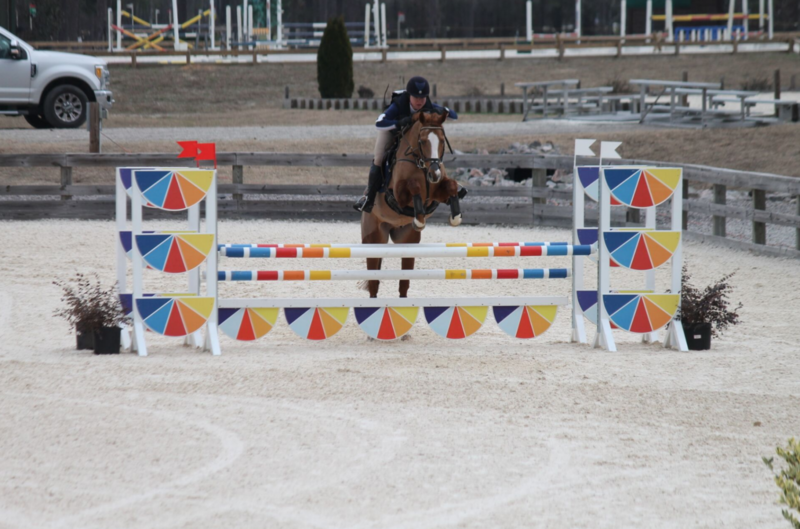 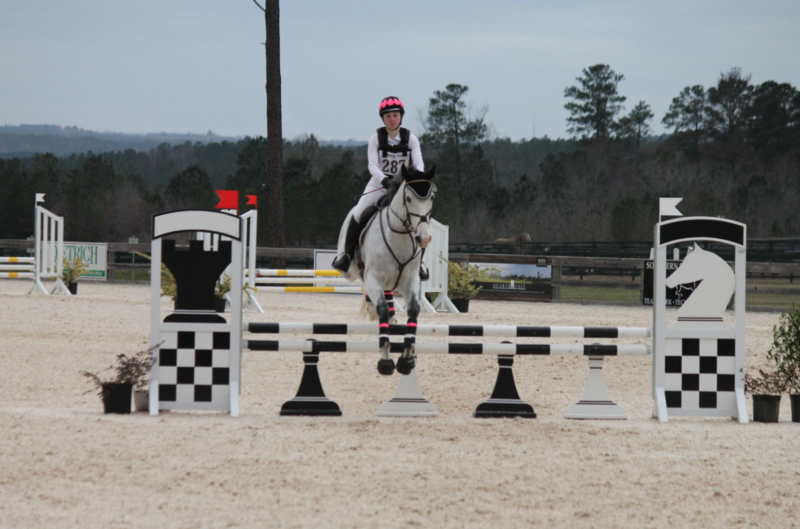 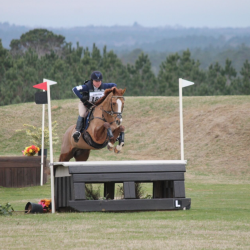 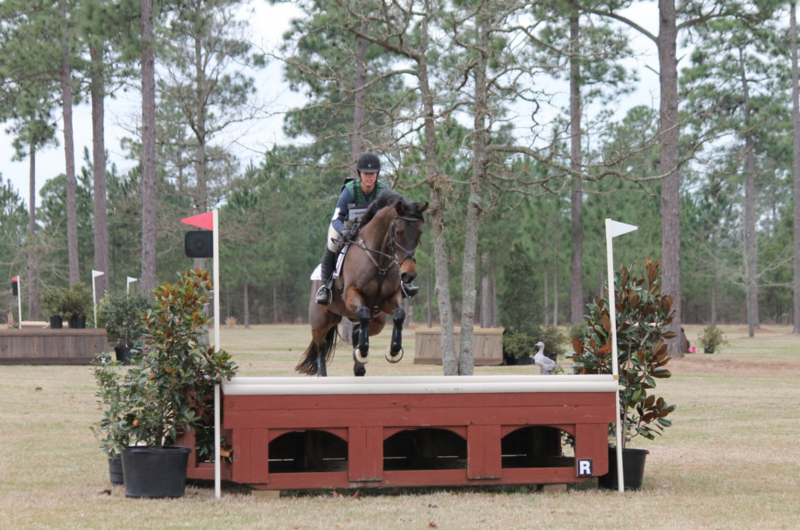 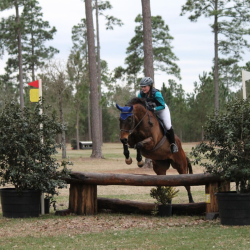 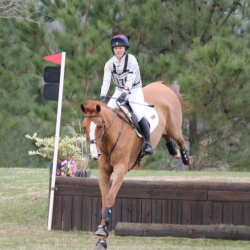 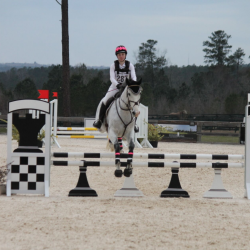 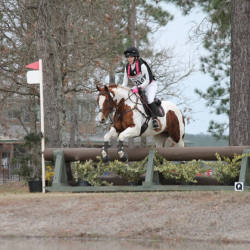 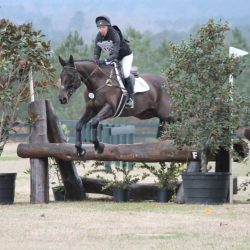 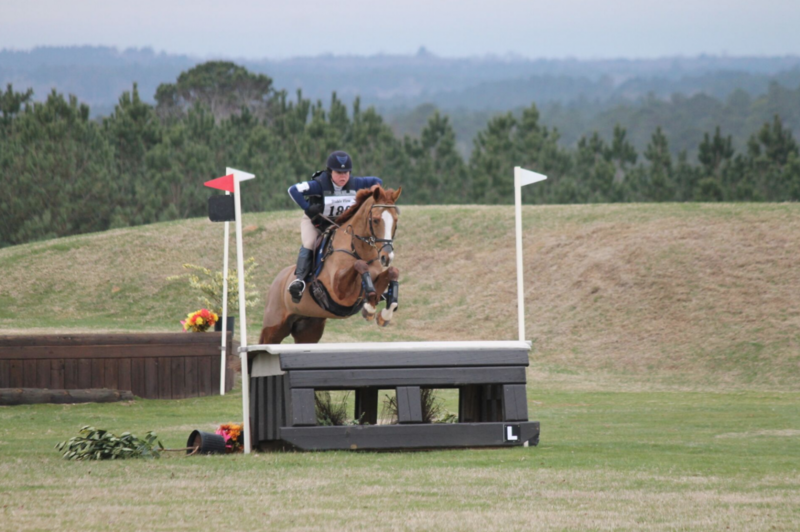 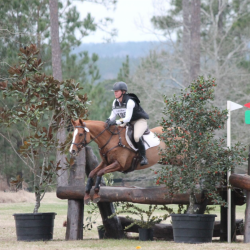 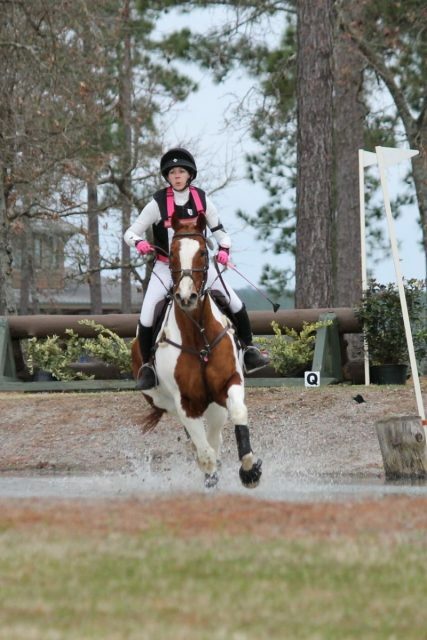 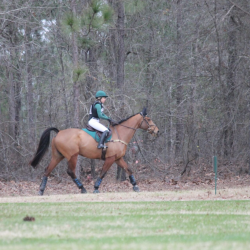 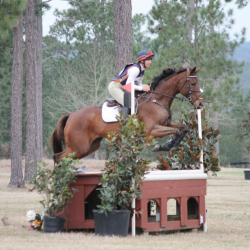 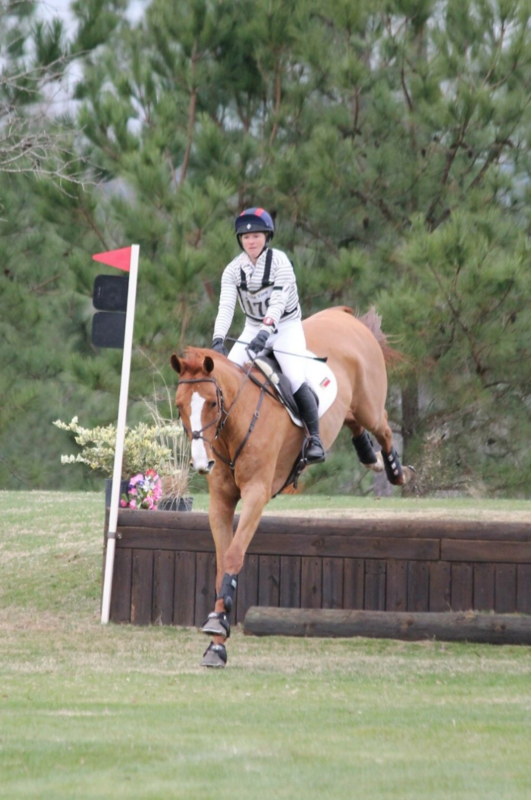 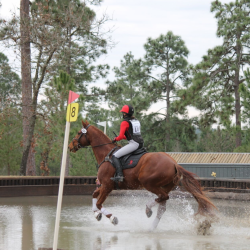 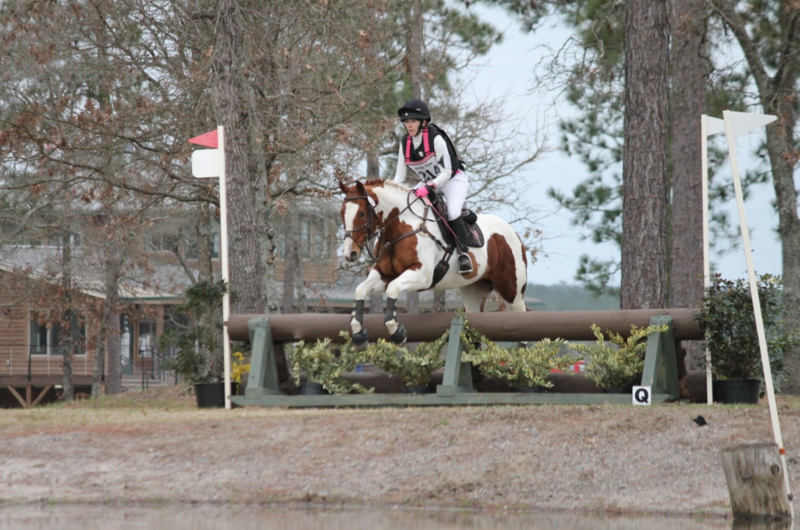 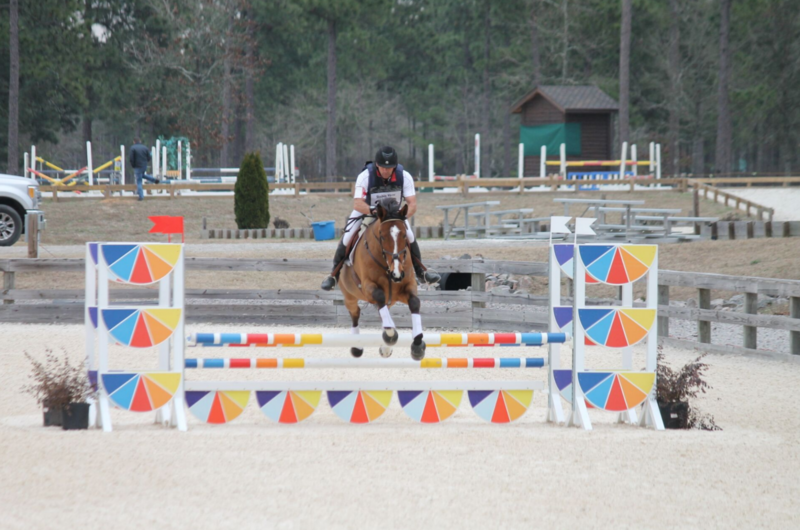 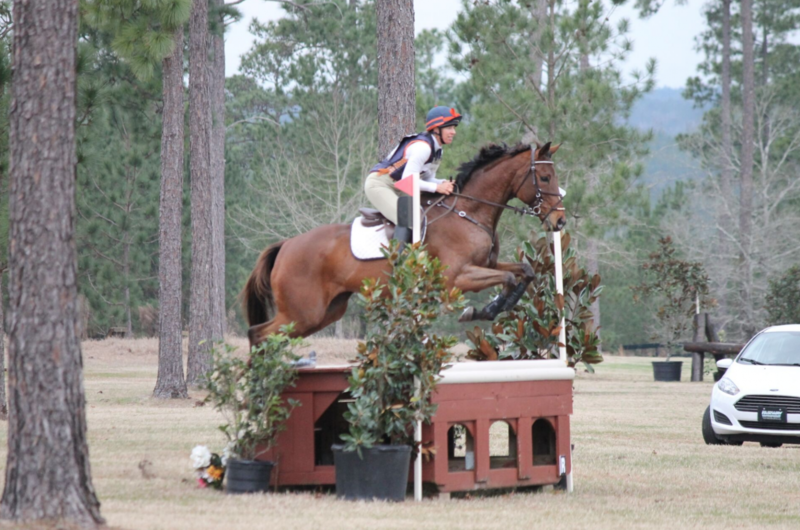 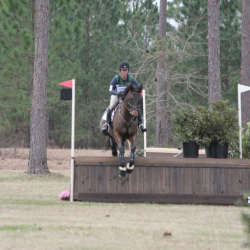 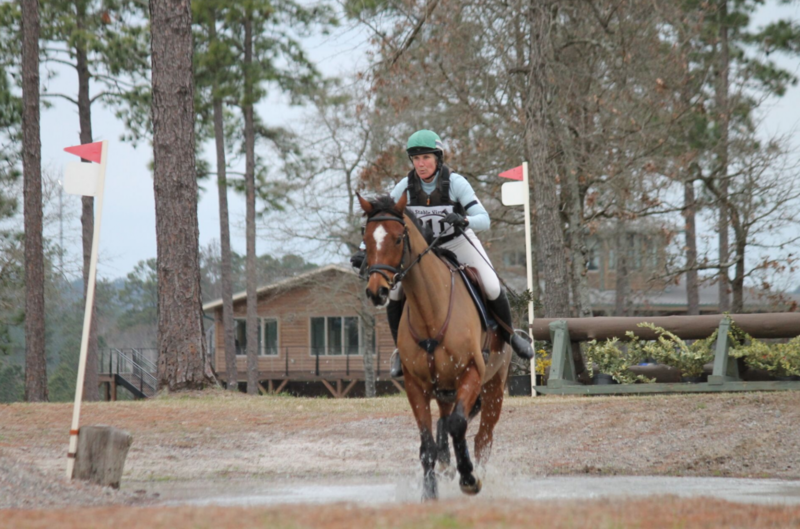 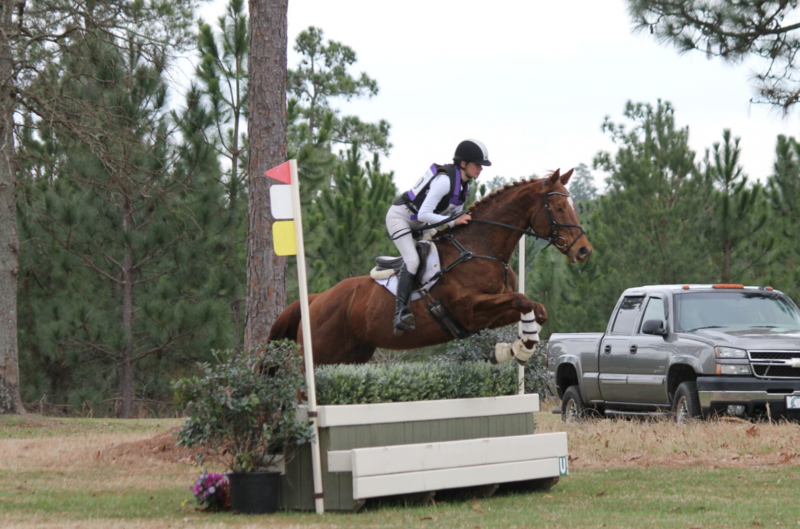 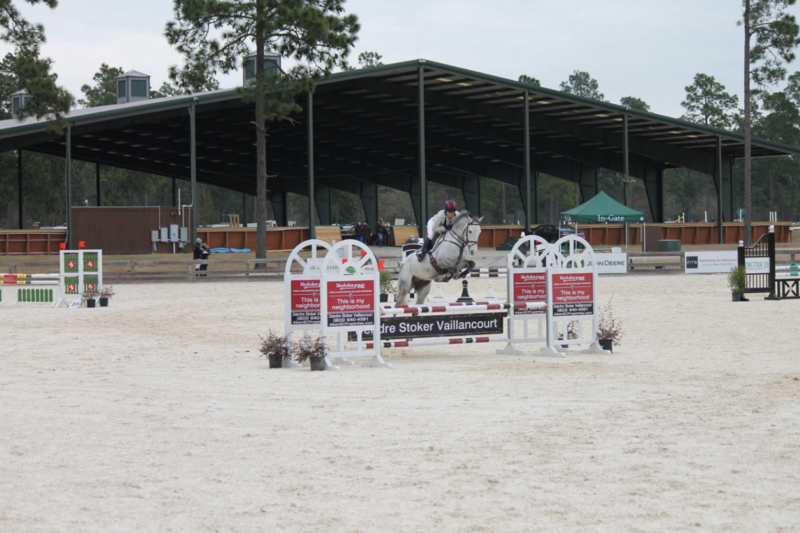 Stable View commenced the winter season with its Aiken Opener Horse Trials this past Saturday, January 12th. 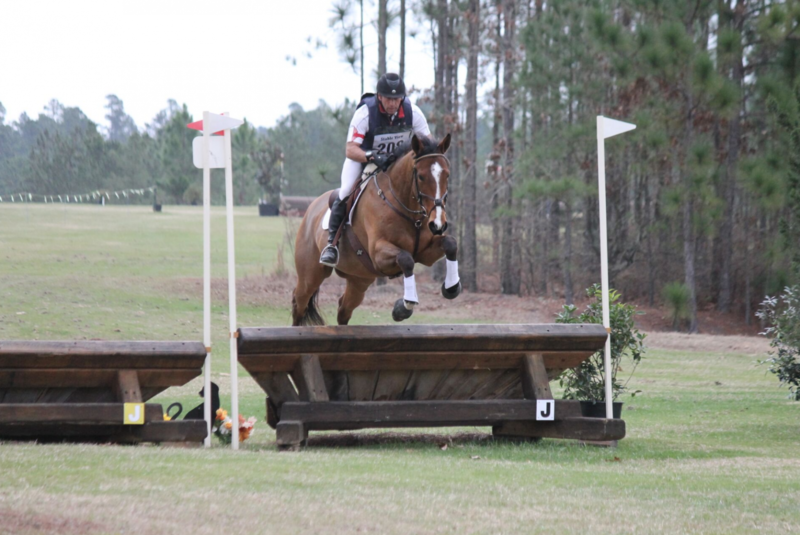 As usual for this event, there was a softer cross country course with 135 riders competing across 12 divisions Beginner Novice – Preliminary. 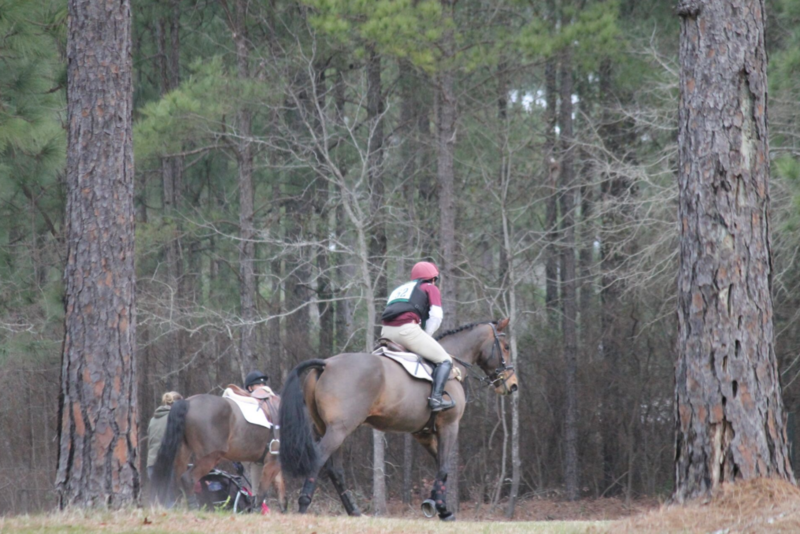 The footing was in exceptional condition, and the cross country courses designed by Mogie Bearden-Muller allowed the horses to start with a strong gallop for a confidence-building ride to start the year. 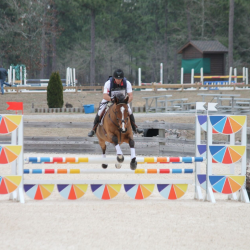 William Robertson, the show jumping designer, also incorporated inviting elements into his designs. 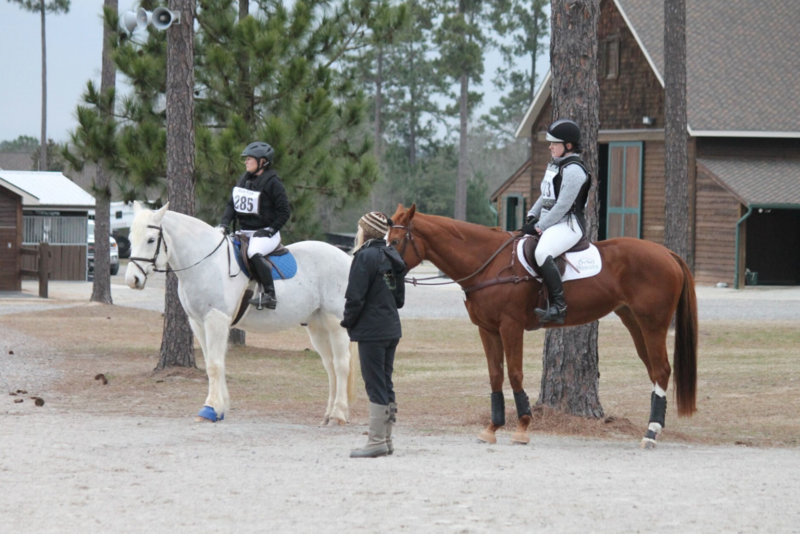 Thankfully, the rain held off and even the chilly 45-degree weather did not stop the fun had by all. 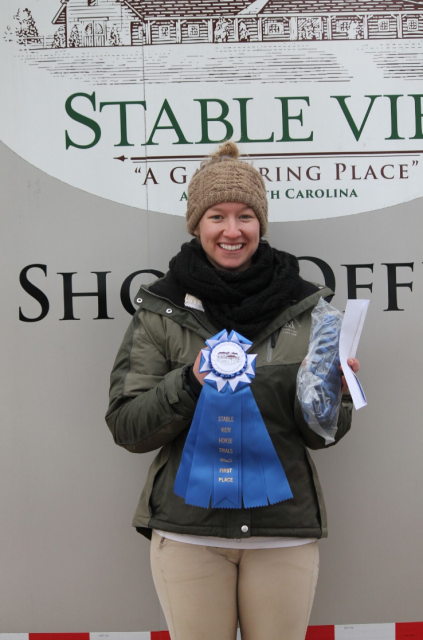 Congratulations to the first winners of the year! 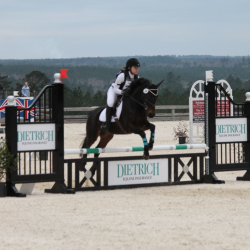 View complete results here. 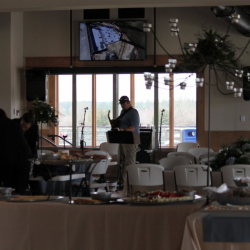 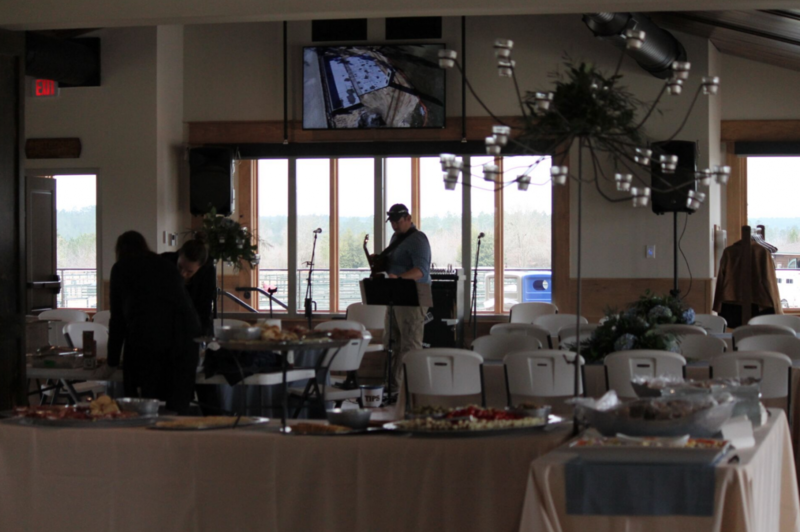 The highlight of the day was the Grand Opening of the Stable View Pavilion. 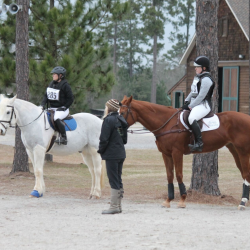 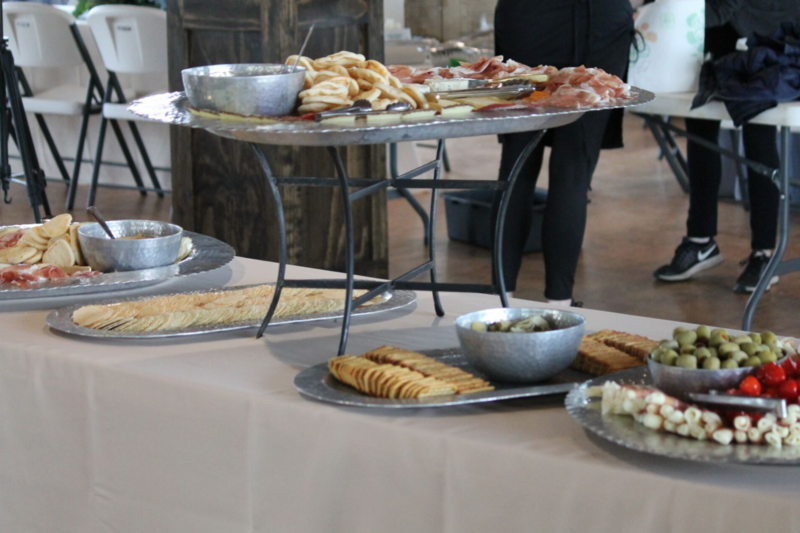 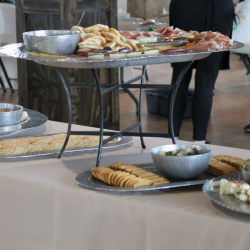 Around 100 people attended a relaxed celebration of what is intended to be at the center of Stable View Eventing activities. 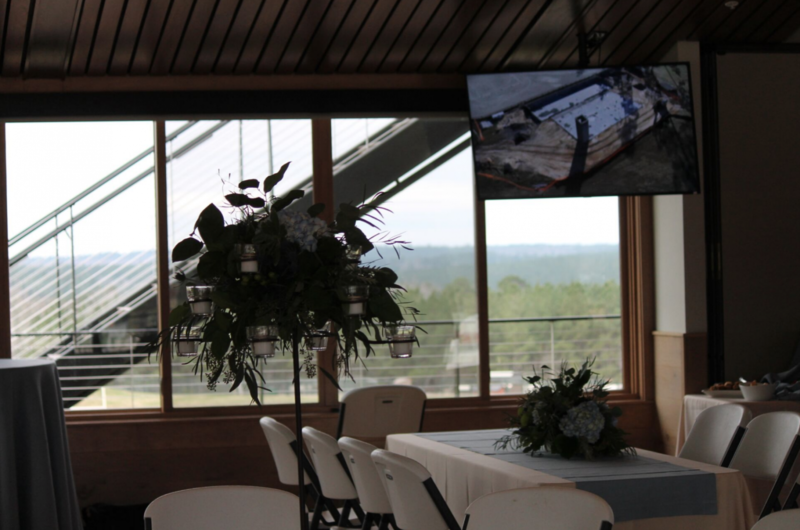 The Pavilion is also designed to house weddings, family reunions and as a conference and community center this state of the art building will offer flexible accommodations for many equestrian activities. 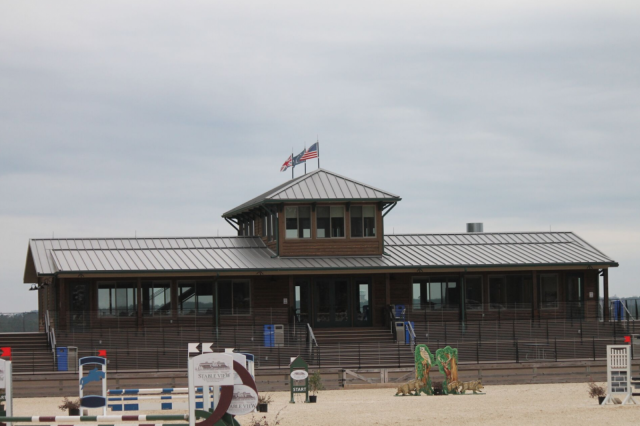 Todd Gaul of Designer Builders, who constructed the building, described some of the green elements of the Pavilion, earning it the LEED Gold Certification. 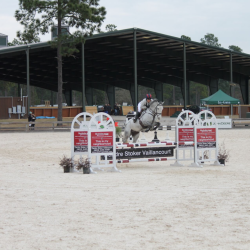 Then, the Aiken Chamber of Commerce held the ribbon cutting ceremony on the decks of the Pavilion with many riders, owners, sponsors, and friends of Stable View in attendance. 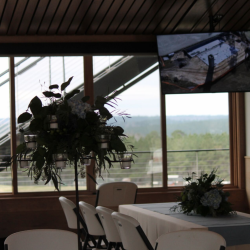 View the full 2019 Calendar of Events at Stable View here. 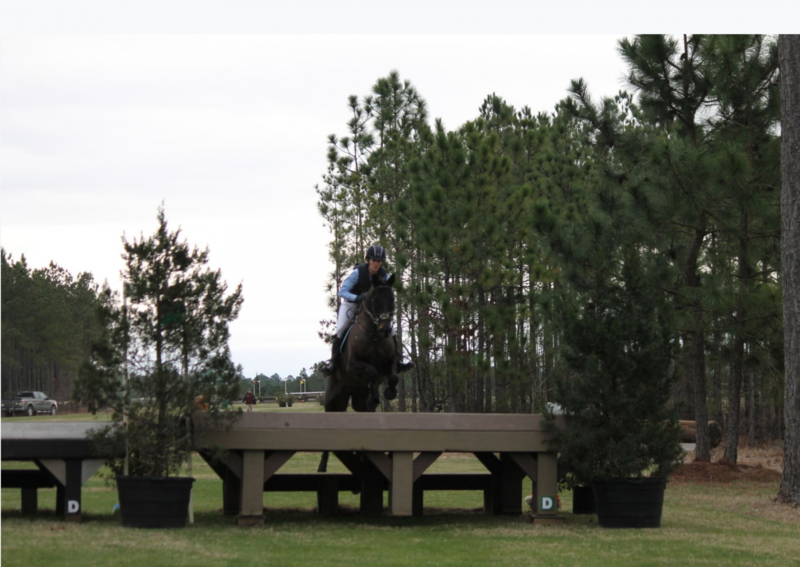 For more information about Stable View visit the website, www.stableviewfarm.com.